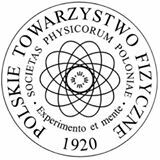 We invite you to take part in our conference “Varying Constants and Fundamental Cosmology” which will take place in Szczecin, Poland from 12th to 17th of September 2016. This is the fourth event in the series of fundamental cosmology conferences organized by the University of Szczecin (previous were Cosmofun'2005, Grasscosmofun'09, Multicosmofun'12). This time the task of the conference is to bring together specialists dealing with the problem of varying (dynamical) physical constants, fundamental cosmology (alternative gravities, superstring, brane, etc.) and multiverse who want to exchange the current ideas in these topics. The publication of invited lectures and short contributions is planned in conference proceedings. Organizers: University of Szczecin in collaboration with the Polish Physical Society , the Copernicus Center for Interdisciplinary Studies (Kraków), the National Centre for Nuclear Research (Świerk), and the Maritime University of Szczecin. The registration can be done via our INDICO CERN page. Finansowane w ramach umowy 777/P-DUN/2016 ze środków Ministra Nauki i Szkolnictwa Wyższego przeznaczonych na działalność upowszechniającą naukę.